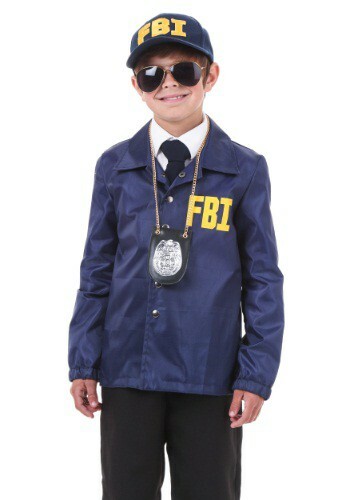 Child FBI Costume By: Fun Costumes for the 2015 Costume season. There is a serious ongoing investigation that needs your attention. There has been a thief stealing cookies form the cookie jar. We need a dedicated professional to sniff out the perpetrator. You better throw on this Child FBI Costume and start the hunt for the cookie monster that is lurking around your house!